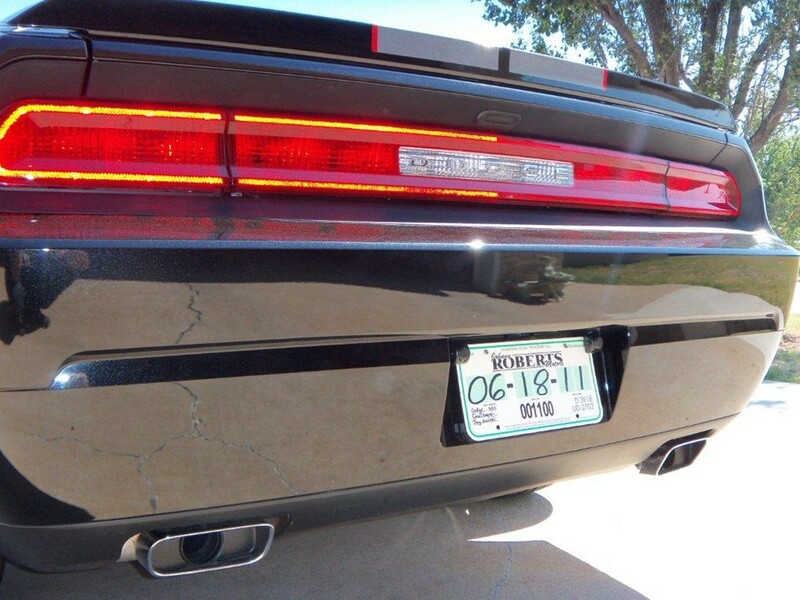 Mounted behind the rear license plate, the NVision Back-up Sensor System detects objects up to 5-1/2 feet away and alerts you with an audible alarm. 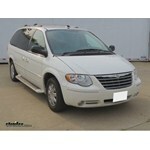 Call 800-298-8924 to order Hopkins backup cameras and alarms part number HM60100VA or order online at etrailer.com. Free expert support on all Hopkins products. 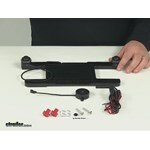 Guaranteed Lowest Price and Fastest Shipping for Hopkins Backup Sensor System - Audible Alert - License Bracket Mount. 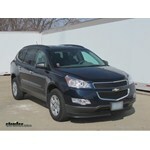 Backup Cameras and Alarms reviews from real customers. Protect your vehicle from rear-end collisions, eliminate blind spots, and increase visibility. A recent phenomenon is an increase in non-traffic incidents involving children, with backovers accounting for 44 percent of fatalities attributable to the larger size of today's vehicles, which have bigger blind spots. 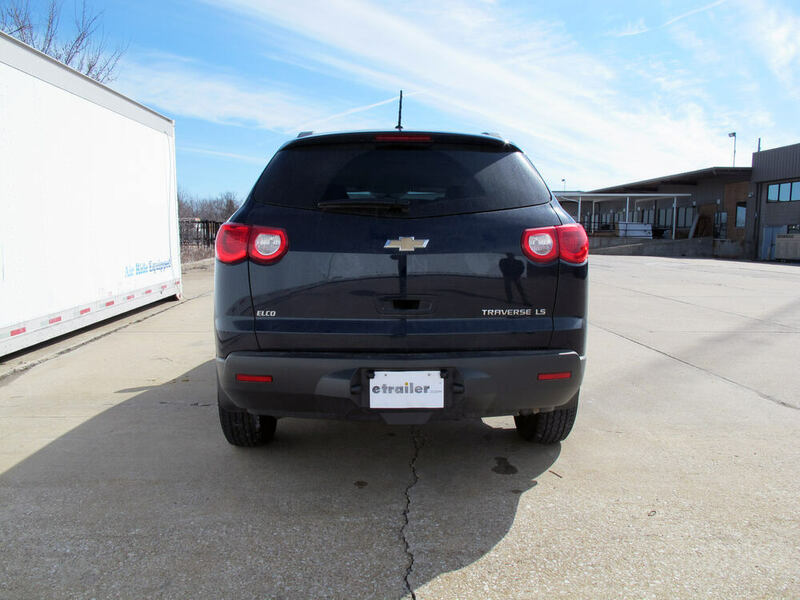 Mounted behind the rear license plate, the NVision Back-up Sensor System detects objects up to 5-1/2 feet away with three alert zones. Today we're going to be taking a look at part number HM60100VA. This is the Hopkins Backup Sensor System with an Audible Alert. This is going to detect objects and start to beep up to 5-1/2" feet away, helping to reduce blind spots around the vehicle. It's going to feature two sensors, you're going to have a left and right sensor. 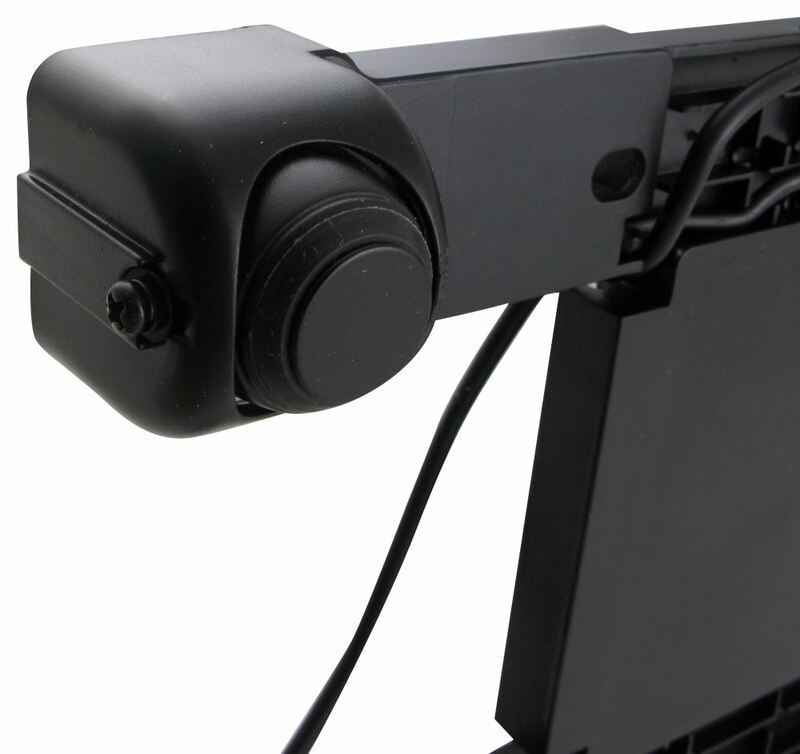 These are adjustable simply by loosening up the mount screws. It's going to allow you to adjust the sensors. Here in the instructions it's going to come with a chart. 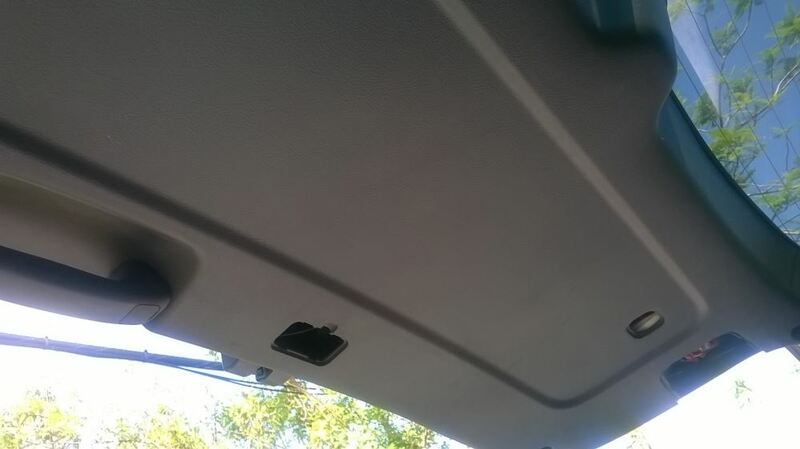 It's going to show you the best angle to mount the sensors or to adjust them to, depending on your particular vehicle. It's going to have an audible warning alarm, that unit right here. This is going to beep more frequently as objects enter each of the three alert zones. If you look closely there's a little gap right here. This is going to be a volume switch on the alarm with a high and low setting. This is going to allow you to adjust to fit your preference. The speed of the beeping noise increases as you transition from zone to zone. It's going to have three zones; you're going to have safe zone, caution zone and danger zone. This unit is designed to mount behind the license plate. The license plate goes directly on top of it. 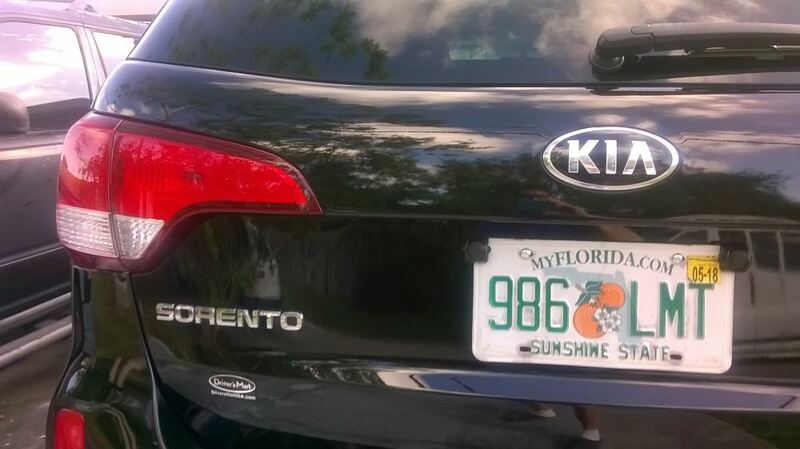 It's got the holes that should line up with any standard license plate. The bracket should fit in any standard license plate mount. The overall width of the unit measuring from end-to-end is going to measure 13-1/8" and the overall height is going to measure about 6". The mounting holes are going to be separated center on center by 7" going that direction, and center on center going this direction about 4-3/4". It's going to come with some cable so you're going to have one cable coming from the mount itself. It's got a little arrow indicator on it. The connector that it goes into has an arrow indicator on it. You just line up those two arrows and snap it together. It's going to signify the connection is being made the way it should. Then you're going to have another wire right here that's going to connect to the audible alarm. Then you're going to have an exposed red wire and black wire. 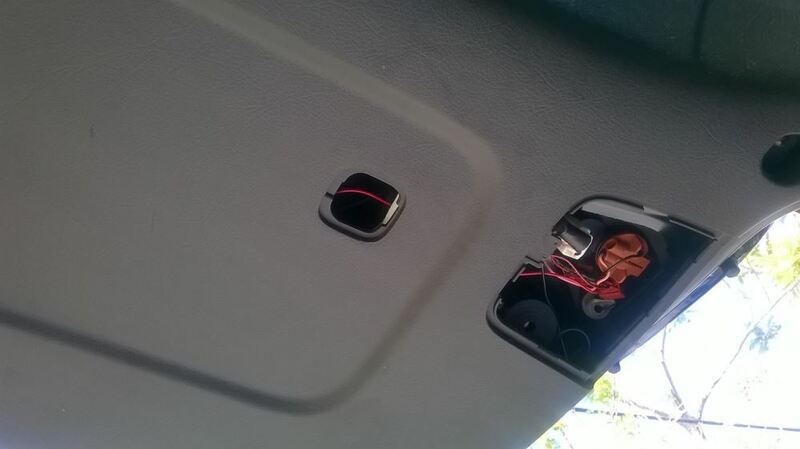 The red wire is going to tap into the reverse light function on your vehicle. The black wire is going to be a ground connection. They make it really easy to make the connections giving you a couple quick splice connectors to tap into the wiring. You're also going to get some 3M double sided adhesive tape, mounts to the back of the audible alarm. That way you can stick it to a nice clean surface. 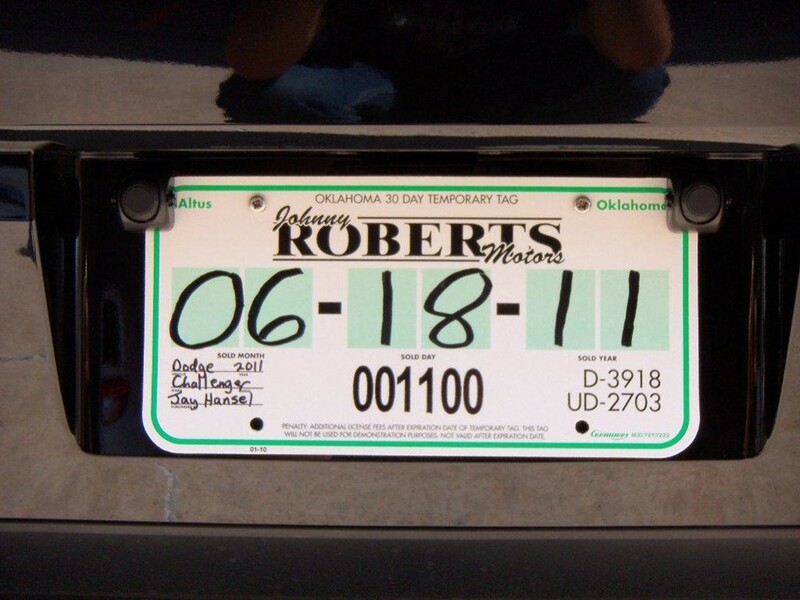 It's going to come with the mounting screws to go through the license plate, through the mount and into the vehicle. It's going to come with a rubber grommet to seal up the hole that goes around the wiring. This unit is going to draw 620 milliamps. It's made with a weather proof design so it will hold up well in different weather conditions. It's going to be safe to run it through the car wash. Again, your red wire is going to be the reverse function wire. The black wire is going to be the ground wire. I did say earlier it is a do-it-yourself installation. The instructions are pretty detailed; they're pretty easy to follow. They're going to go step by step and allow you to get this thing installed on your particular vehicle. That way you can be more aware of your surroundings and reduce the blind spots that you may have. That's going to do it for our review of part number HM60100VA. 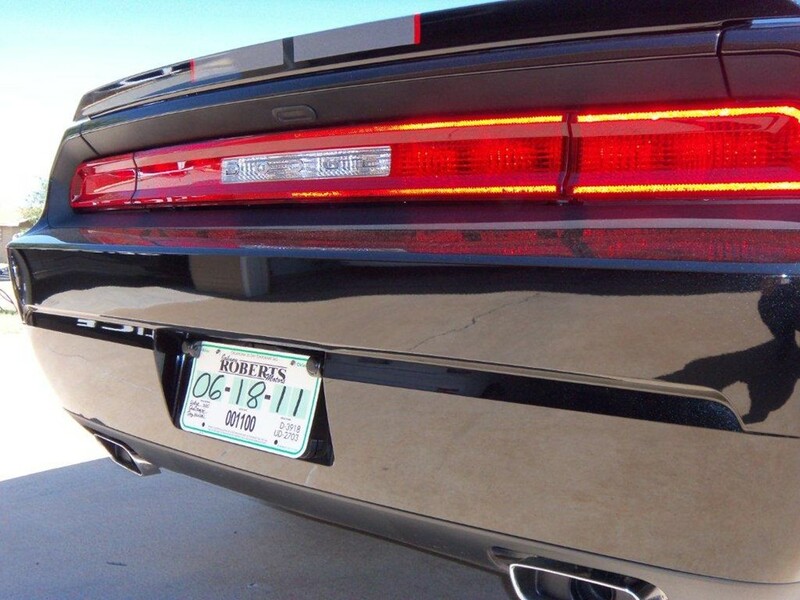 This is the Hopkins Backup Sensor. .
Order: RelevanceNewestRating - High to LowRating - Low to High Mounted behind the rear license plate, the NVision Back-up Sensor System detects objects up to 5-1/2 feet away and alerts you with an audible alarm. 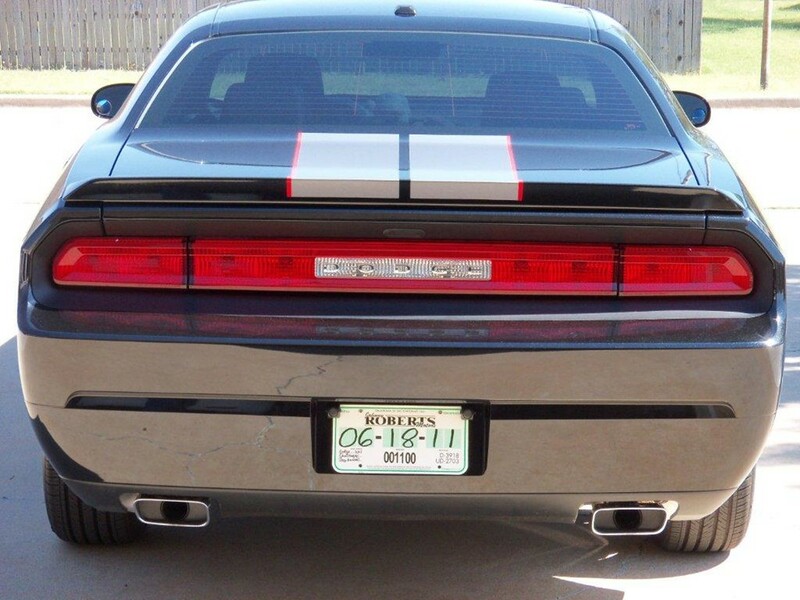 Raymond,Thank you for your review.This back up system has sensors that are made to be able to adjust the angle. 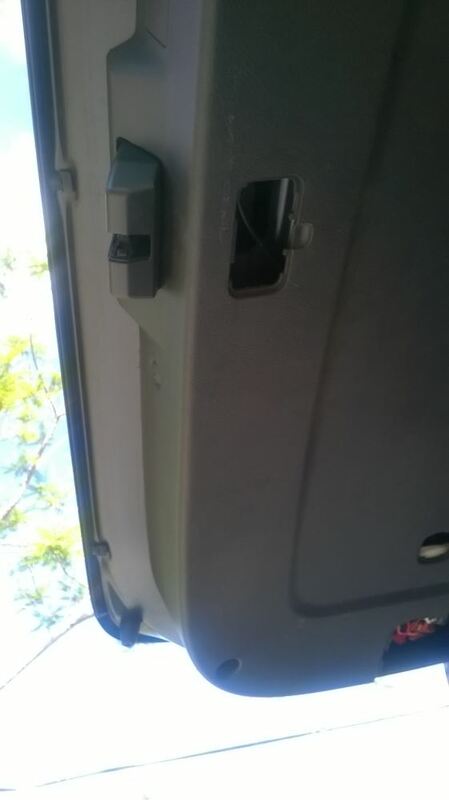 The mounting location of the sensors may be an issue. If the sensors are detecting parts of the vehicle then you may be getting false alarm beeps. This may be happening if the angle of the sensors are detecting the sides of the mounting location or the angle of the sensors are detecting the bumper. 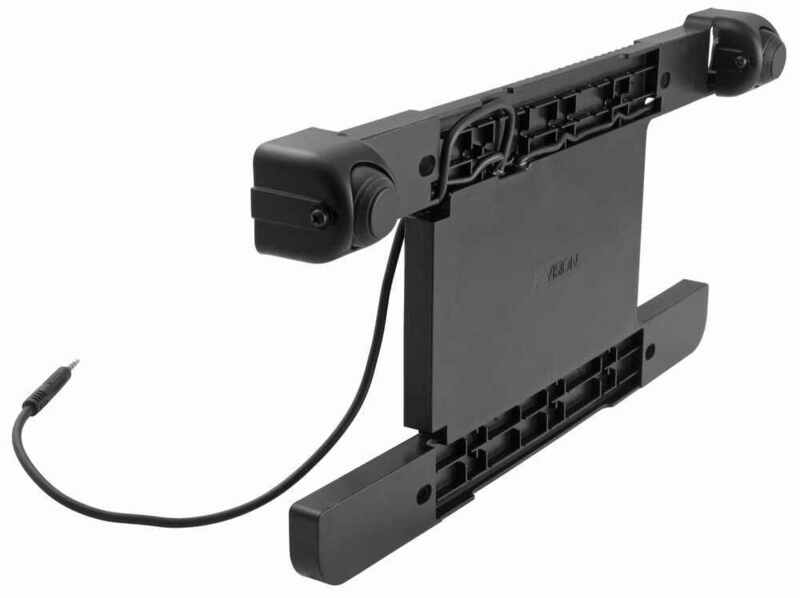 It is possible to mount the unit upside down so the sensors are on the bottom but that will block some of the range of the sensors. It it not perfect because it is limited to certajn degree. It would work better if my placement would have allowed for it to be a little bit lower. 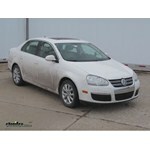 I am still very happy with the purchase and would definately recommend it. It is still a great help to me. It is working very well. Money well spent! 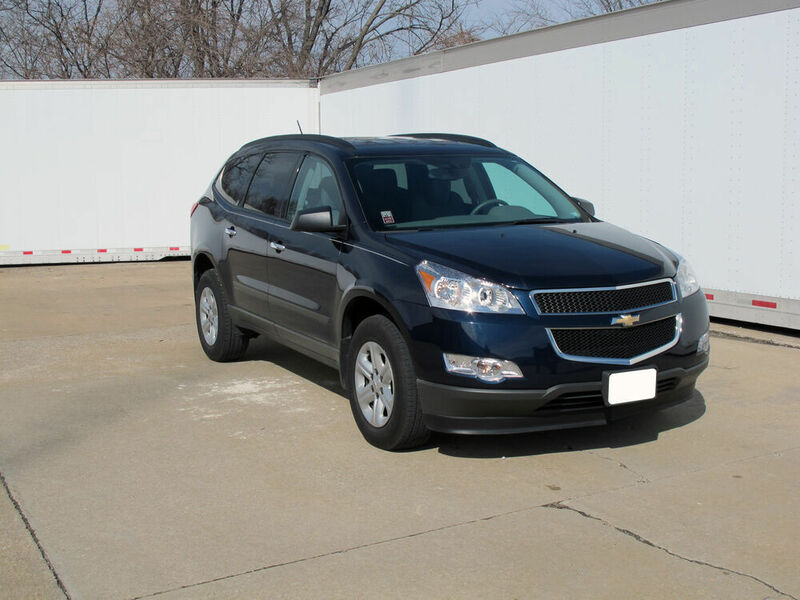 Roy, Hopkins appreciates your business and is grateful you purchased our Backup Sensor System. 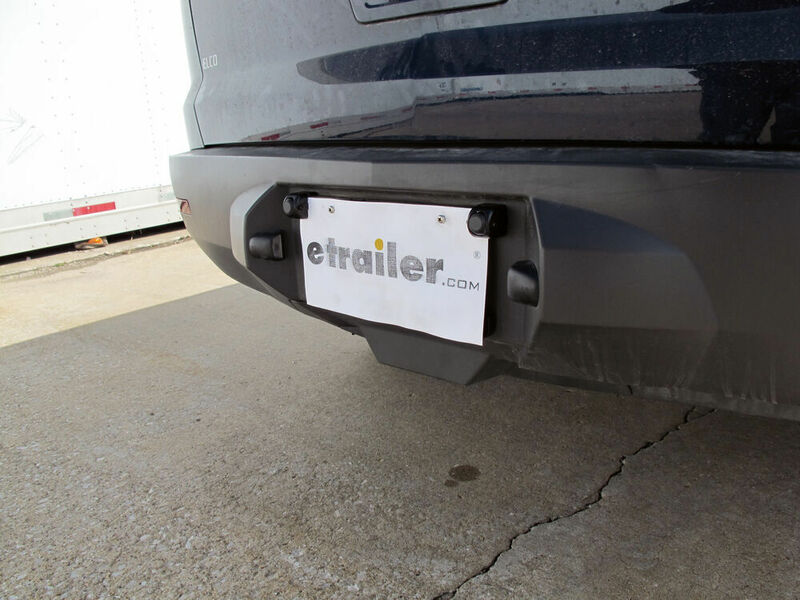 If you have any concerns or questions, please get in contact with etrailer customer service. Still working great. Saved me a number of times from almost hitting something. Very accurate. I attached two pictures that are the install instructions for the Hopkins BackUp Camera part # HM60100VA that you referenced as well as a link to an install video down below for you to check out. 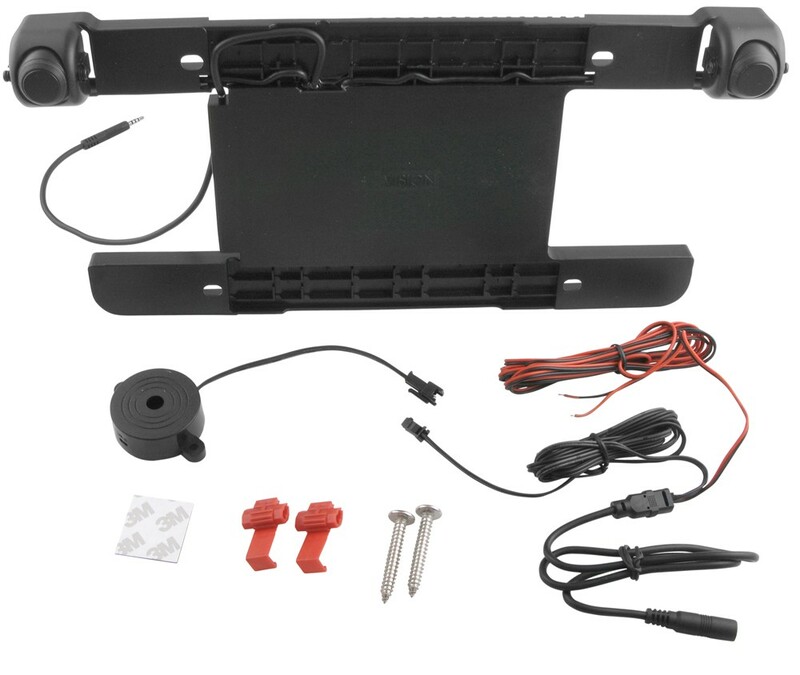 Best solution we have would be the Hopkins Backup Sensor system part # HM60100VA which has the sensors mounted to a license plate bracket which won't require you to drill into the bumper of the vehicle to install. The Hopkins Backup Sensor System # HM60100VA comes with an 8-foot cable as standard. If an extension is needed Hopkins offers a 10-foot extension, part # HM3100504049. Backup sensor system # HM60100VA will start too beep as objects become 5-1/2 feet away from the sensor. This unit features three alarm zones, so as the vehicle comes closer to the object, the beep from the unit will become more and more frequent, but the sound of the beep itself will not change. 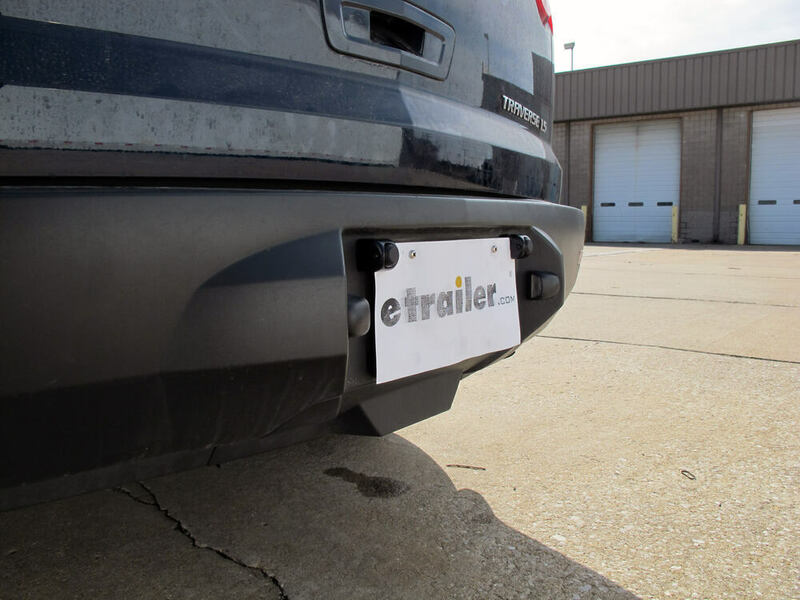 The Hopkins Backup Sensor System, # HM60100VA, will work with a metal step bumper on the Toyota Tundra, but, depending on how far back the plate is from the rest of the bumper, it may not function to its fullest capacity. Each sensor on the plate can sense objects about 5-1/2 feet out at about a 45 degree field. If an object was very close to the back of your truck and off to one side, the sensors may not be able to detect the presence. 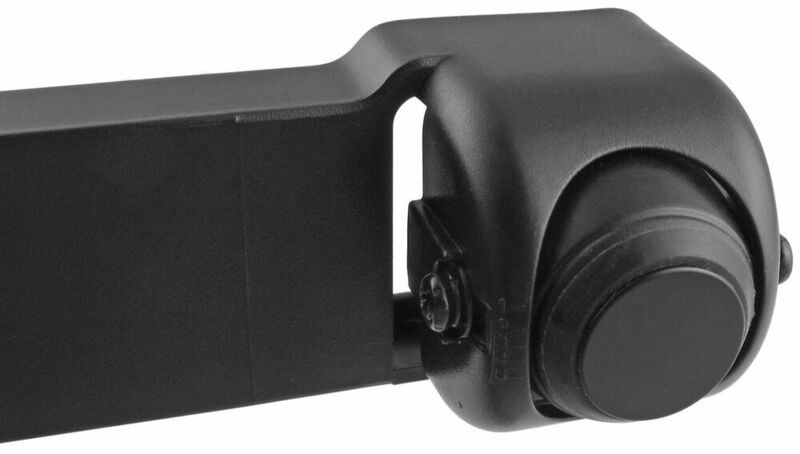 Yes, this Hopkins Backup Sensor System - Audible Alert - License Bracket Mount, part # HM60100VA, has left and right sensors that will detect things that are behind you up to 5-1/2 feet away to help you avoid hitting things as your backing up. To the right is a picture of how the range of the # HM60100VA looks on the back of a vehicle. 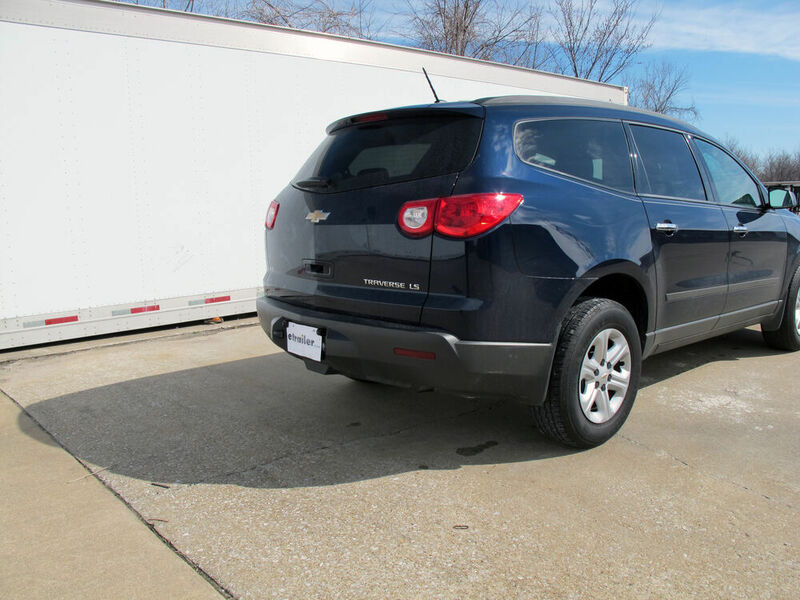 You should always use caution when backing up to make sure there is nothing behind you. I am not sure what would interfere with the Hopkins Backup Sensor system, # HM60100VA, considering that it mounts in the same place as the rear license plate. The overall width of the unit is 13-1/8 inches, see photo, and the height is 5-15/16 inches. It sounds like it will just fit if your measurement is slightly above 13 inches and not slightly less than 13 inches. 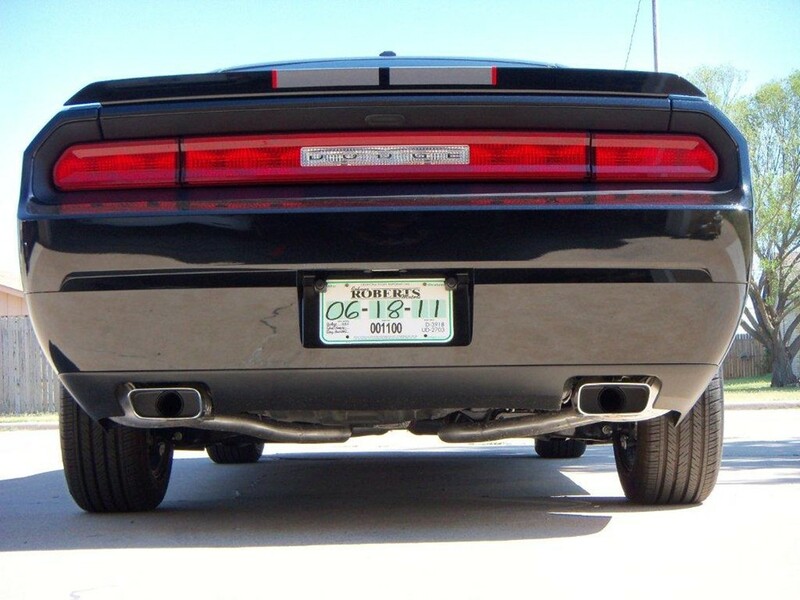 The Hopkins Backup Sensor System # HM60100VA that you referenced is not designed to be used with any other license plate bracket. I think your best option would be to get a K-Source Vision System, Rear Mount Camera # KSVS-8. 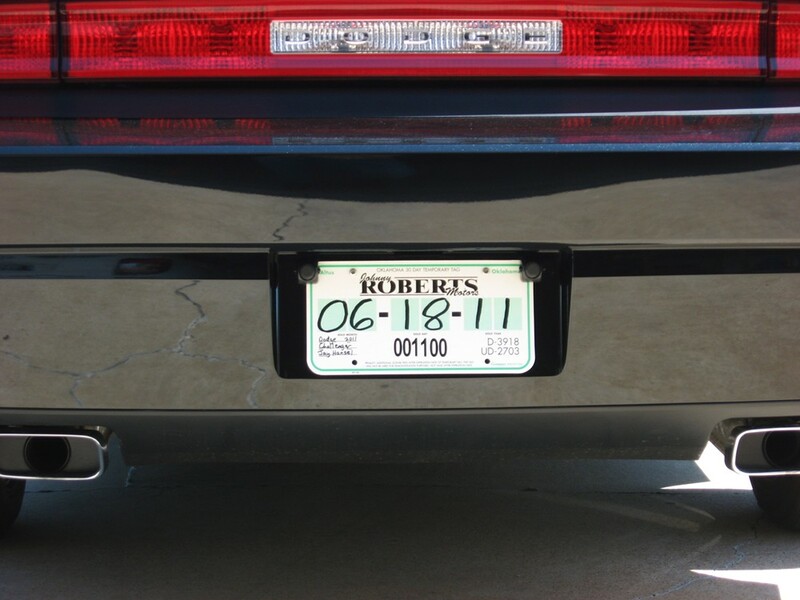 This system only uses a license plate mounting screw to attach so you should have no problem keeping your custom plate frame. I do have an option for you but since the license plate is offset on your 2016 Jeep Wrangler, the Hopkins Backup Sensor System part # HM60100VA will not work well for you. 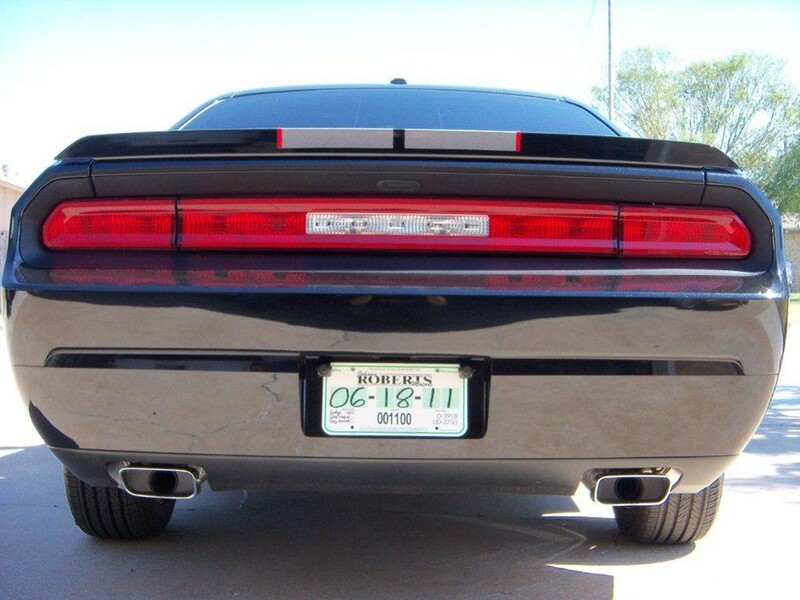 License plate mounted sensors and cameras are only designed for vehicles with center mounted license plates. Instead, I recommend taking a look at the Furrion RV Observation Camera System part # FOS43TASF. 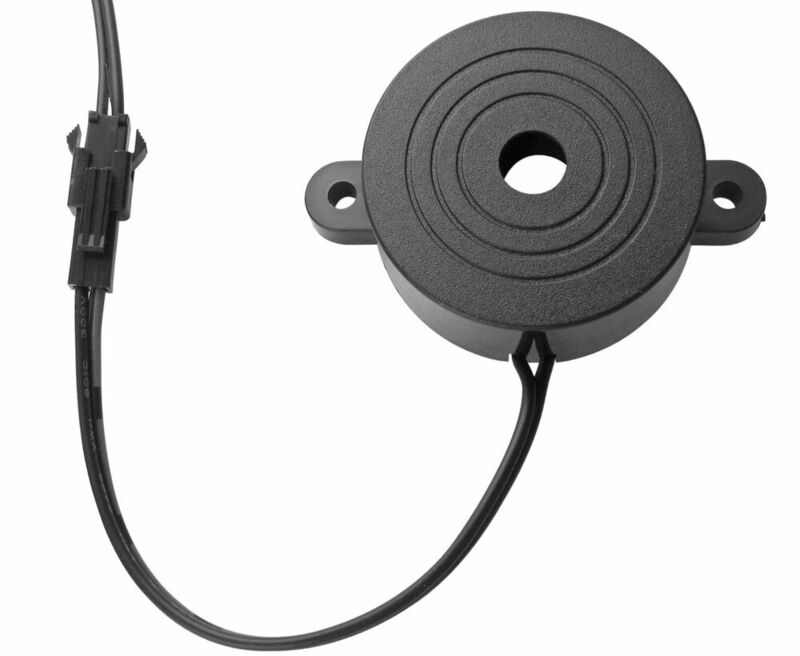 To install the Hopkins Backup Sensor System, part # HM60100VA on your 2008 Ford Edge, you will need to attach the wiring to the reverse light circuit on the tail lights. 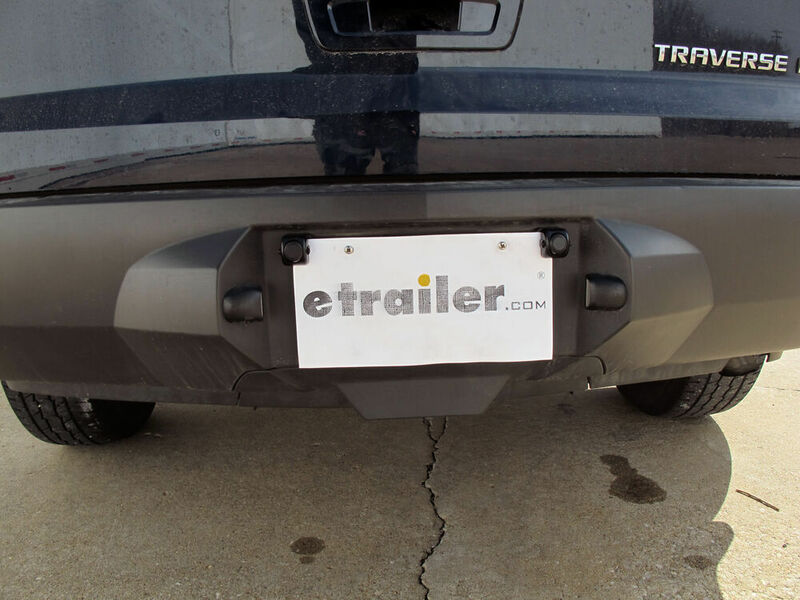 I am including a link to a video that will show you how to get to the tail lights on your 2008 Ford Edge. 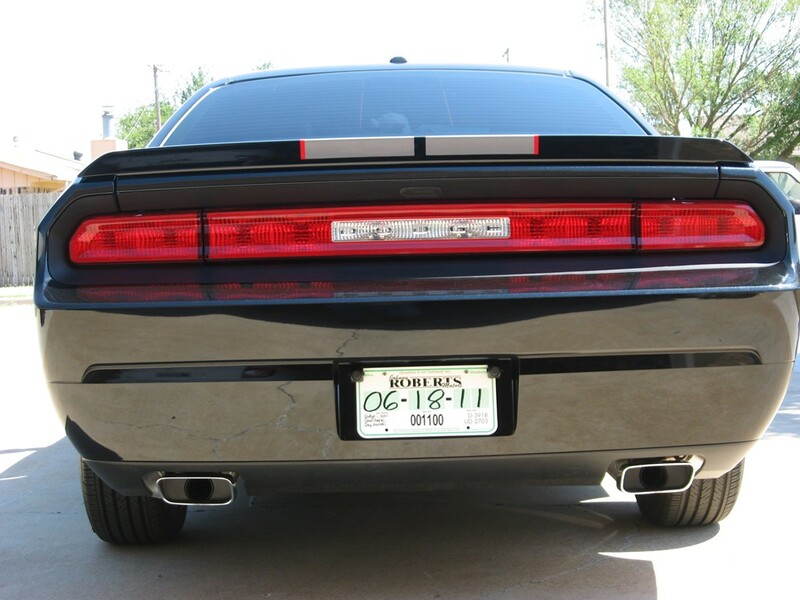 It shows some good details on how to access the back of your tail lights. I went out to the warehouse and pulled a Hopkins Backup Sensor System - Audible Alert - License Bracket Mount, # HM60100VA, and measured it. It is 5-15/16 inches tall and 13-1/8 inches wide. 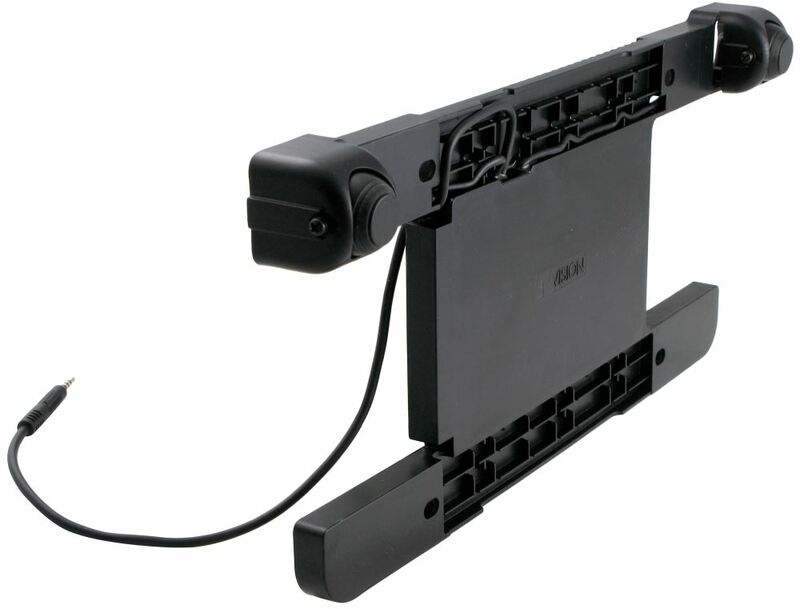 You would need to access the reverse light wiring that connects to either tail light on your 2007 Toyota Tundra. You can access the rear of the tail light by opening the tailgate and unbolting the light from the truck. You will want to use a circuit tester like part # 40376 to verify which wire carries the reverse light signal. After verifying which wire carries the reverse light signal, you will connect the wire for the Hopkins Backup Sensor # HM60100VA.